I never thought I would become a Star Trek fan. When I was a kid, I might have seen an episode or maybe two, but that is probably pushing it. It probably wasn’t even a full episode that I saw. To be completely honest, I saw more episodes of Red Dwarf than Star trek. And I hated Red Dwarf. The only sci-fi at that time that I really liked was Stargate SG-1. I probably knew about the existence of Star Wars, but haven’T really seen it until I was in my early teens. Frankly, I don’t even know why I watched the new Star Trek Beyond. Yes, that was the first one I saw in full even though it is the third in the new Star Trek Reboot. And you know what? I think I know why I watched it. The new Star Wars came out, Ep. VII and I watched it only to watch Phantom Menace like twice in two days right after that and the original series right after (My favourite character is still Qui-Gon!). And then I was looking for more sci-fi that would be similarly interesting and so I happened across the new Star Trek. I was hooked. During the last week I saw all three of the new movies twice and the first one thrice. And before someone tells me to watch all the older series and movies, I won’t. I fell in love with the cast of the reboot and I’m not gonna ruin it with the old cast and old special effects. Even if it means I have to wait for the fourth movie to be out. And yes, according to IMDB there will be a fourth movie. I might not be a full fredged Star Trek fan, but I do love the new movies and decided that maybe I actually like the sci-fi genre after all. I was never much of a fan, I prefered urban fantasy and dark fantasy (no vampires or werewolves, not a big fan of those, especially after reading Twilight). But the thing is, my favourite urban fantasy author is melding it together with sci-fi so much that I have a feeling that I’ve been liking sci-fi a lot longer that it seems at first glance. So, I know that die-hard trek fans will probably tell me that the older Star Trek is far better than the new one, but you know what, I’m not forcing you to prefer the new one, so I would like it if you do not force me to watch the old one. And now that that’s out of the system, let’s just say that I needed to rant about my newfound love for the new Star Trek. 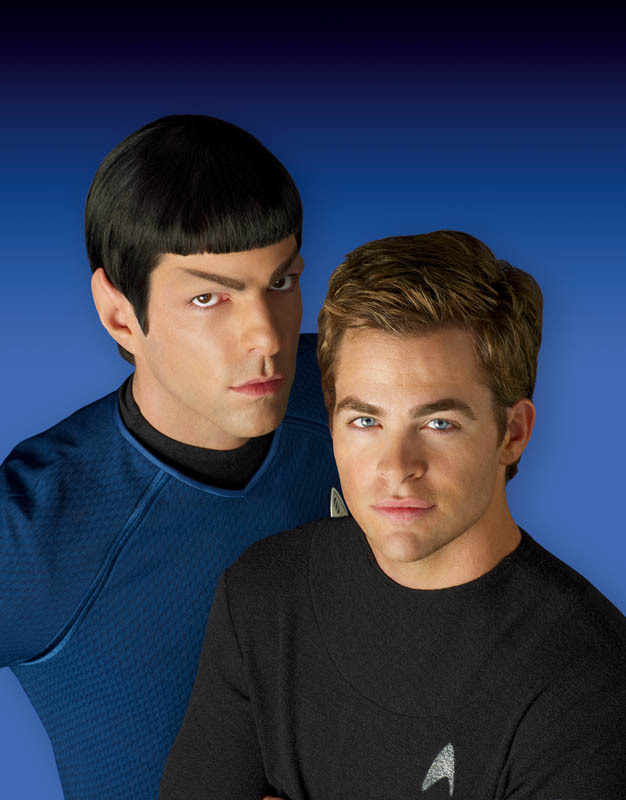 Of course, I also kinda wanna strangle Uhura and force Jim and Spock together because Spirk. At least that’s what they are calling that pairing ove ron fanfiction.net. Now, I’m gonna end it, post it and go wash my hair and then we shall see what happens after that. 20-6-2017 Edit: Why the hell did I name this Star WARS?! BTW, Problem fixed.